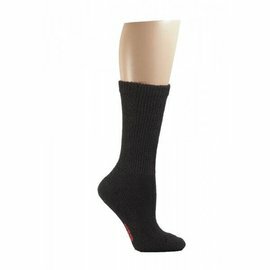 - +MD Bamboo/ Copper Diabetic Socks are knitted with naturally comfortable bamboo yarn. due to our proprietary knitting capabilities, +MD socks allow for free circulation, stretching up to 8% further than other diabetic brands, without slouching or falling down. - +MD Bamboo/ Copper Diabetic Socks are made with CuTEC copper ion yarn which helps reduce odor and infection causing bacteria and fungus. Rayon from bamboo has naturally moisture wicking properties, helping to keep your feet fresh, dry and comfortable. - +MD Bamboo/ Copper Diabetic Socks feature special Rayon from Bamboo yarn, Cushion Soles and Handlinked- Seamless Toe construction. This low-friction design reduces the chance of blisters and abrasions which can cause more serious foot problems. 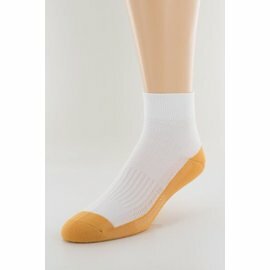 +MD Diabetic Socks with white foot for easier detection of sores and abrasions while maintaining the dress sock look.